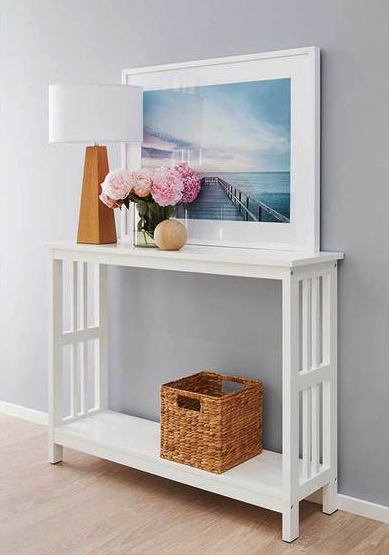 Give your hallway a makeover with this eye-catching Hayman Hall Table. 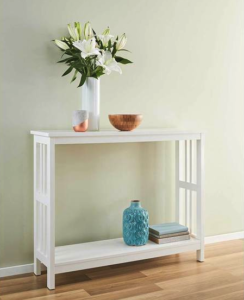 Featuring a slimline design with a good-sized top and storage shelf, there’s plenty of room to stow away hallway clutter underneath whilst creating a welcoming display on top. Add a couple of pretty woven Cancun baskets underneath and stow away shoes for easy access at the door. Add flowers or happy holiday snaps to complete the look. The slimline top and slatted sides give an open airy look that won’t overcrowd a busy hallway.